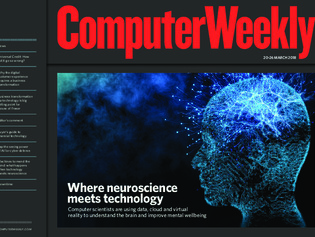 In this week’s Computer Weekly, we find out how computer scientists are using data, cloud and virtual reality to understand the brain and improve mental wellbeing. We analyse newly published government documents detailing the early problems with the Universal Credit IT project. And we look at how emerging artificial intelligence techniques can help improve cyber security. Buyer’s guide to fintech - Omni-channel technologies can help banks stand out from their rivals, but a good customer experience should be their goal. Research shows that better customer experience will boost business, but to achieve this, IT and the people across the organisation need to embrace data analytics. House of Fraser CIO Julian Burnett talks about his role, his key achievements and his plans for long-term and lasting digital transformation at the department store group.